Disclaimer: I received a free copy of these books for me to do an honest review. All views in this post are my own. This giveaway is open to U.S. and CAN residents who are 18 years of age or older. 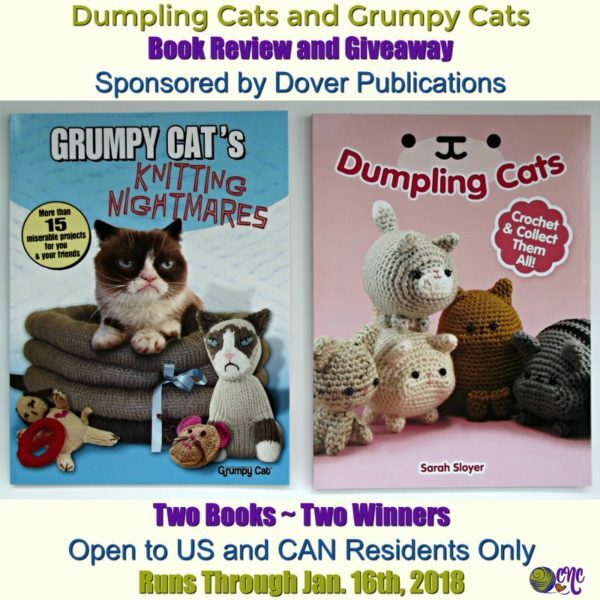 Giveaway runs through January 16, 2018. Two winners will each receive a free copy of both books. 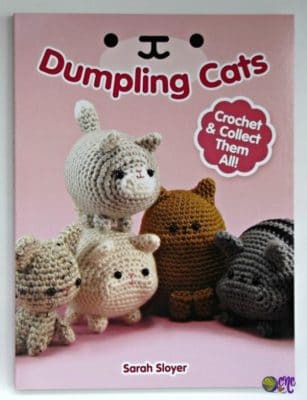 This book contains 25 amigurumi cat patterns and three accessory patterns including a cat bed, food bowls and a crocheted cardboard box. The dumpling cats were inspired by Pokemon characters, thus making this a perfect book for all the Pokemon fans. 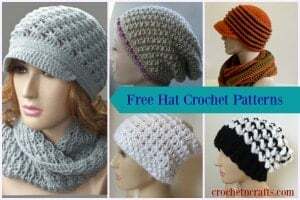 Crochet them for yourself or give them as gifts. I’m sure the finished items will be appreciated by everyone. I also enjoyed reading the little character write-ups for each character. Not only do you get to crochet them, but you get to find out who they are. Pretty cool, if you ask me. Lastly, the book comes with many images showing you how to crochet these adorable cats. The skill levels range from easy to intermediate. The Knitting patterns in this book are designed by various knitting designers. It contains a number of accessories for humans and cats, plus a few items for around the home including a washcloth, pillow cover, phone and tablet cozies and coffee sleeve. Cat accessories include a hat, a bed, collars and some amigurumi toys including a mouse and a doggie. Human accessories include a hat and scarf, and a pullover pattern for the entire family. Plus, the book contains a number of charts which you can incorporate into many other projects as well. Among the charts is an alphabet chart that you can use to create short messages on your knit fabrics. Altogether the book contains over 15 knitting patterns. Many are easy, but you’ll also find them at the intermediate level. 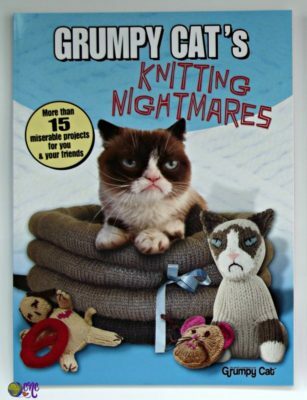 On top of the patterns, I also enjoyed the grumpy cat quotes throughout the book. Or, enter below for your chance to win a free set of the books. 2 Winners will receive a copy of each book. Entrants must be 18 years of age, and be a resident in the U.S. or Canada. Giveaway runs through Jan. 16th, 2018. These are too adorable! I love everything about all of this, ha, so cute and fun!